Welcome to our signature hole. This picturesque par 4 is surrounded with history from the ‘Lanteglos Church’ at the tee box to the parallel woodland that the ‘Black Prince’ once owned. 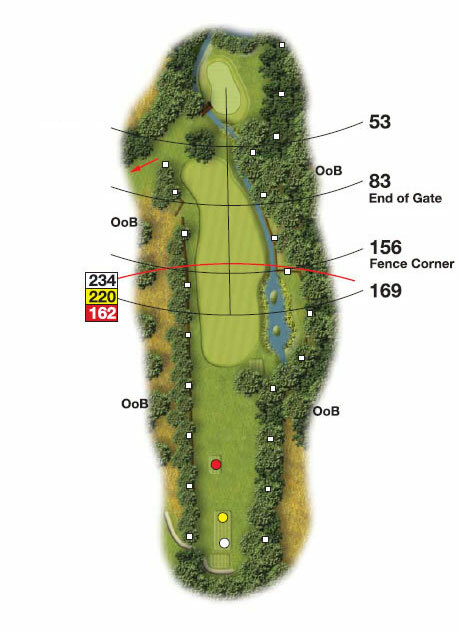 The hole itself requires some thinking, play long off the tee for a short iron in? or safe off the tee to leave a difficult second? Or face laying up short of the water to allow a straightforward pitch to the green.